Libraries may be traditionally thought of as buildings were books are kept, but in a digital world, libraries are changing to become much more. As libraries evolve to the Information Age, they are taking on completely new models that focus on different kinds of resources and spaces. However, the goals of libraries—especially school libraries—remain the same: to support students to learn, discover and become critical thinkers throughout their lives. In this goal, libraries are becoming even more relevant than ever. Many believe that, with such an abundance of free information now available online, library collections are becoming irrelevant. But nothing could be further from the truth. Libraries have always collected books, but the modern library is about more than paperbacks. Print books continue to be important, but collections of resources in alternative formats are becoming popular, too. Much more than just ebooks, these collections may include anything from infographics, to tweets, to digital images. These are important for students to learn who to use and interpret in today’s society. But books still matter, too. In fact, a diverse and engaging collection of books is a top differentiator for helping children to read more frequently, enjoy reading more, and develop better literacy skills. The student spaces inside libraries are looking differently these days, too. (areas within libraries focused on production and production tools like 3D printers and graphics software). Sometimes they even include brainstorming areas and café-style configurations with flexible furniture and devices. In a world where students often study together, learn from each other, and must complete projects together, these new spaces are designed to encourage collaborative learning. The most important thing in a library isn’t the books—it’s the librarians. Librarians are an invaluable resource for both students and teachers—they are the all-important connection between people and information. Librarians are advocates for reading, learning and critical research practices. Understanding how to be a critical researcher has become more important than ever in the digital age—while it’s easy to look up anything we can imagine on search engines, their algorithms are designed to provide links based on what we have searched in the past, which reaffirms our existing biases. Librarians play a very important role in teaching students how to discern the quality of the information they find, and how to ensure their research is balanced. As Common Core puts an emphasis on research skills, learning these complexities about the content we engage with has become closely tied to student success. 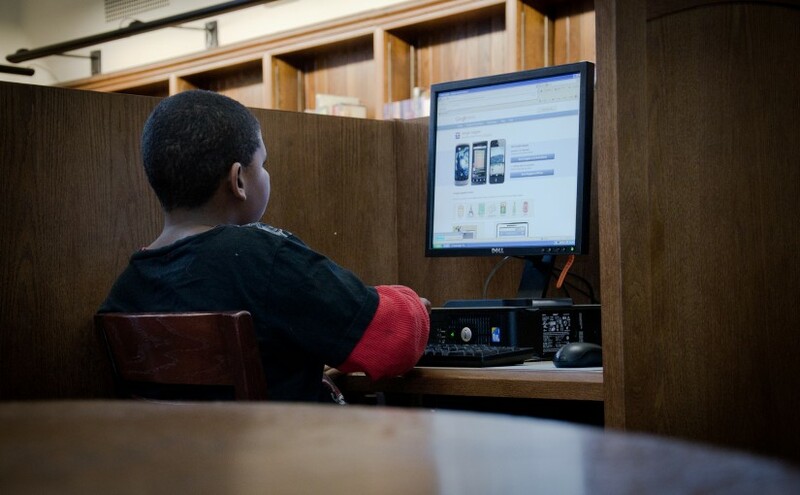 Internet access has become increasingly important for student success. And yet, 25.6 percent of American households do not have Internet access at home (according to the 2013 U.S. Census). School libraries play an important role in bridging the gap. The traditional, fixed library scheduling approach offers students library time as part of a pre-scheduled block of class time. However, more libraries are starting to use flexible scheduling options that open the library to students to come use its resources any time they want. When libraries can be flexible and creative to offer students greater access to its resources, student success increases. Students have been consumers of information in libraries for as long as they’ve existed; but in the digital age, it’s increasingly important for students to become creators of content, too. Libraries can play an important role in helping students learn how to use important tools for creation, as well as how to think as a content creator. Although libraries’ collections, schedules and physical spaces are evolving significantly, one thing remains the same: Libraries are a vital resource for students and our communities at large. Libraries continue to offer students important resources and play a major role in shaping growing minds.